Union Public Service Commission (UPSC) has announced the Indian Forest Service Examination 2018 results. Mandadi Naveen Reddy secured All India Rank 1, while Arushi Mishra secured rank 2. There were altogether only 90 vacancies across India for this prestigious All-India Service. Indian Forest Service Examination (IFoS) is another highly regarded examination conducted by UPSC – just like the UPSC Civil Services Examination (CSE). The Preliminary Exam for both IFoS and CSE is common, while Mains and Interview are conducted separately. IFoS Main exam was conducted in December 2018, while the Interview was conducted during January-February 2019. Based on the results of the Indian Forest Service (Main) Examination, 2018 held by Union Public Service Commission in December 2018 followed by Personality Test held from 28.01.2019 to 01.02.2019, the following is the list, in order of merit of candidates who have been recommended for appointment to posts in Indian Forest Service. We feel ready proud to inform our readers that Indian Forest Service Examination 2018 Results bring extra happiness. This is because, our long-time student – Ganesh U R – has secured All India Rank 39 this time. Ganesh was a repeated subscriber of ClearIAS Prelims Online Test Series. He, during the last 1 year, has also contributed valuable contents for ClearIAS.com by associating with our team. Congrats Ganesh on this excellent achievement! 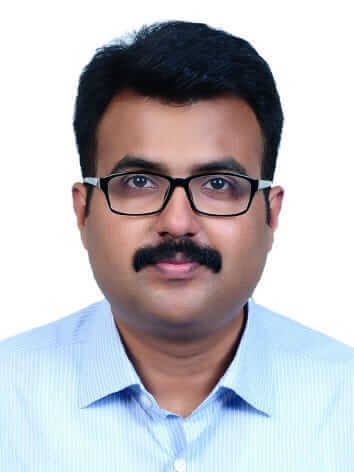 It was Ganesh who informed us about the result first 🙂 Of course, there may be many other online students of ClearIAS who topped IFoS this time. If ClearIAS helped you in your success, it would be great if you can send us the details via email (contactus[at]clearias.com) or as comments below, so that it would help our readers to know the strategies and preparation tips. 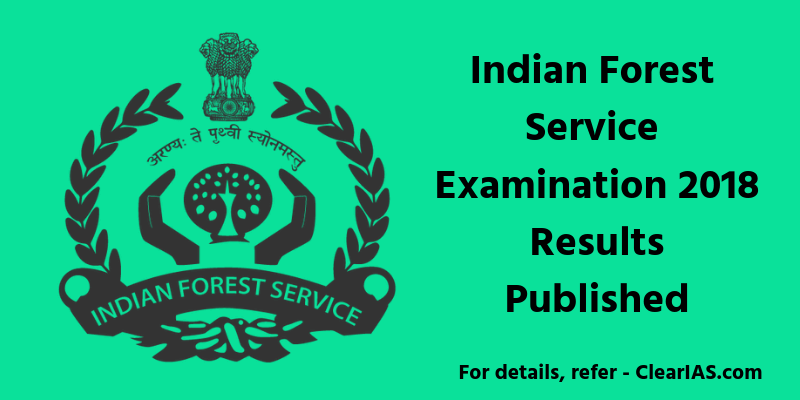 Are you interested to apply for Indian Forest Service Examination 2019? We recommend aspirants preparing for UPSC Civil Services Examination to also apply for Indian Forest Service Examination (if they are eligible). The eligibility criteria for IFoS is mentioned in detail on clearias.com. As prelims is common, and there is a good overlap of topics in Mains and Interview, CSE preparation and IFoS preparation can be taken hand-in-hand. If your aim is IFoS or CSE top rank, the first step you should make now is to prepare well for Prelims. UPSC CSE/IFoS Prelims 2019 will be conducted on June 02, 2019. Score high marks in Prelims to get a call for both IFoS and CSE Mains. Be our topper in 2019 and make us proud!